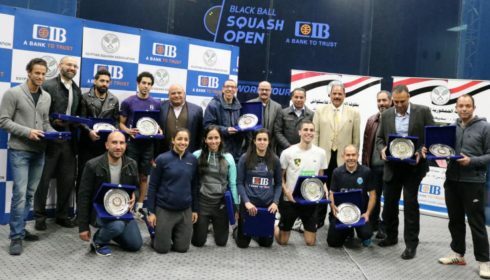 Karim Abdel Gawad rounded off a fantastic week by claiming the inaugural CIB Black Ball Squash Open title as he beat world #2 Ali Faragin front of a packed crowd and a massive TV audience, having already claimed the scalps of the world #1 and world #4 along the way ! 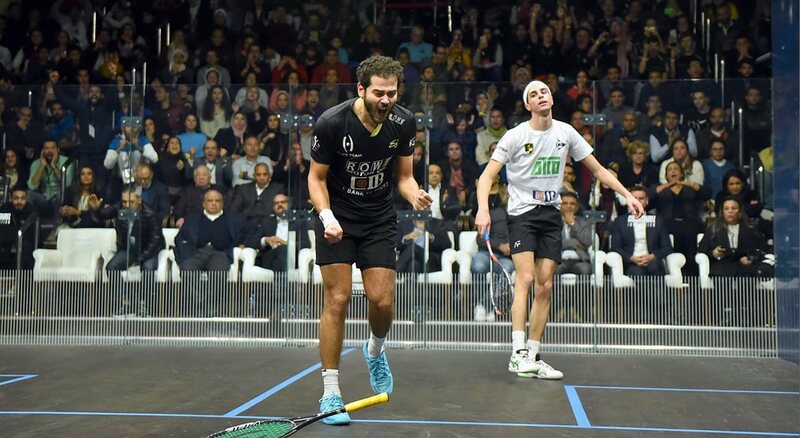 Despite having spent 100 more minutes on court than Farag, it was Gawad who started the brighter, taking the first game with something to spare and then shrugging off the loss of two game ball to claim the second in extra points. 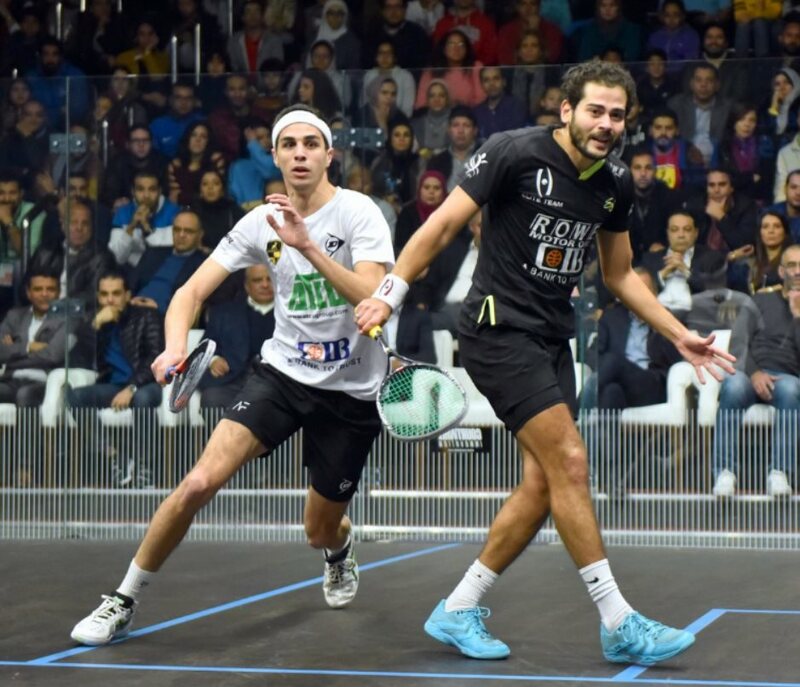 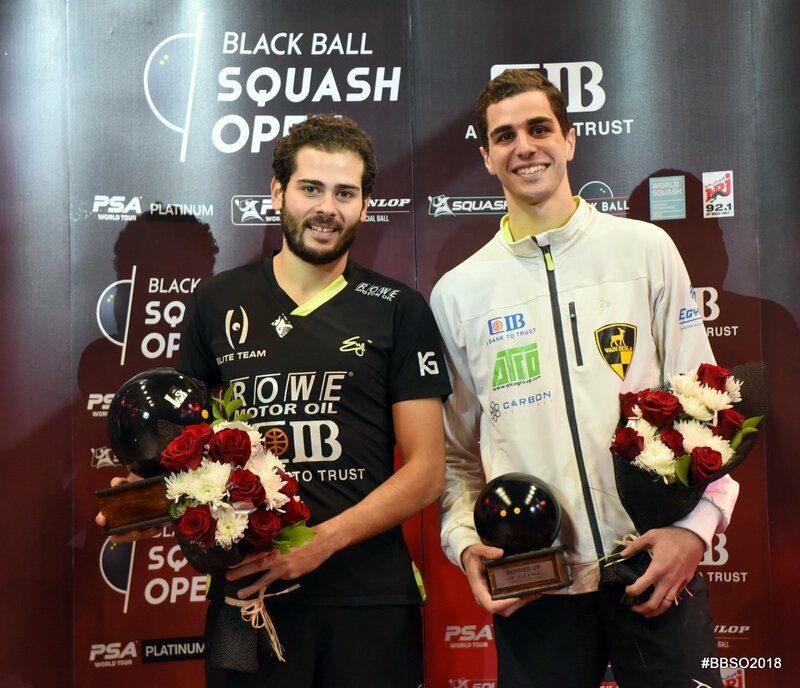 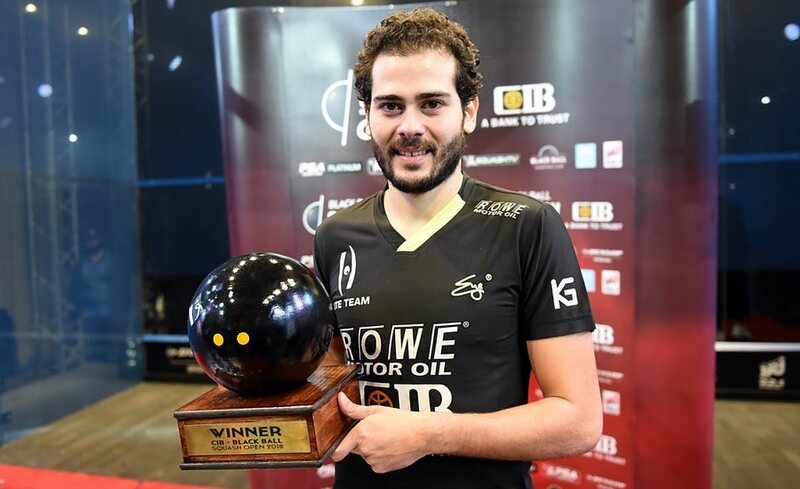 Farag fought back in the third, converting a 6-1 start, but it was Gawad on the front foot in the fourth as he forged, and stayed ahead to become the first Black Ball Squash Open Champion. 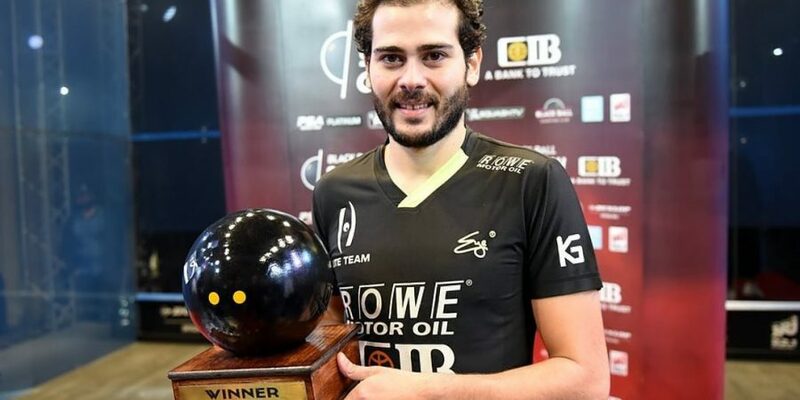 “I am so happy,” said Gawad, who takes home over $25,000. 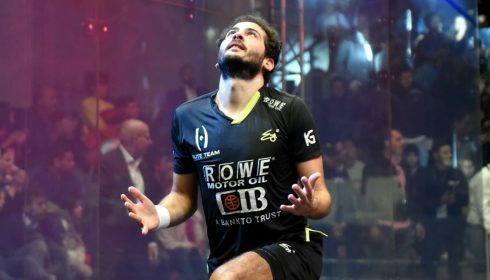 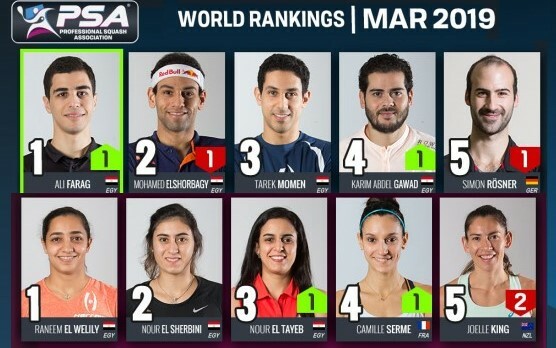 “Karim was too good today and I wasn’t as sharp as I would have liked to be, the pressure probably,” said Farag, who would have been the new world #1 in January had e won today. 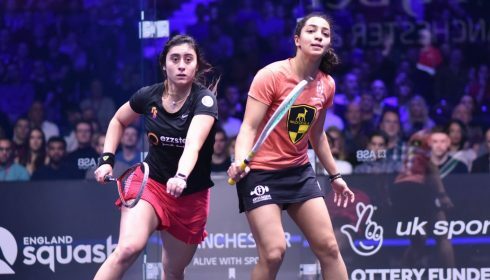 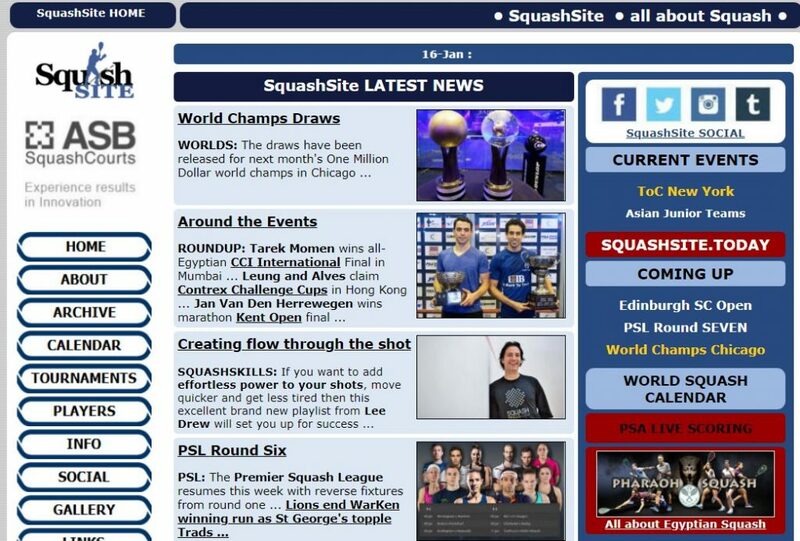 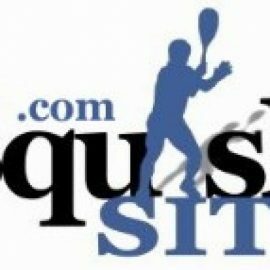 The Black Ball Squash Open returns in March with a Women’s $107,000 PSA GOLD event.